For that analysis, I looked up the etymologies of 500 Spanish words randomly chosen from a standard Spanish etymological dictionary. I found that roughly one-third of them were “native”, i.e. they descended from Vulgar Latin, one-third were later borrowings from Latin, and one-third were borrowed from other languages. But I wondered whether the dictionary’s selection of words might have biased my results toward borrowings. Since then, I’ve learned about the World Loanword Database (WOLD) project, in which linguists researched the origins of roughly 1500 words, corresponding to an agreed-upon set of core meanings, in 41 different languages from around the world. Martin Haspelmath, one of the co-editors of the WOLD project (with Uri Tadmor), also co-edited the World Atlas of Linguistic Structures (WALS), which I found invaluable while writing ¿Por qué? That makes him one of my favorite linguists. The data for each of these languages are available on the WOLD website, and the results were published in a very expensive book. (Maybe if such books were cheaper, more people would buy them. Ahem.) The #1 borrower was Selice Romani (a variety of Romani), with 73% loanwords, and the #41 borrower was Mandarin Chinese, at 1.2%. Because WOLD aimed for broad coverage of the world’s languages, it included only one Romance language: Romanian. I decided to apply the WOLD methodology to Spanish myself so that I could compare Spanish to other languages in terms of its borrowing patterns. The 1500 WOLD meanings are divided into different semantic categories, such as clothing and cognition, so I’ll be able to make this comparison within each of these categories as well as overall. Honestly, you have to be a total nerd to perform this kind of analysis voluntarily, and a little crazy to do it twice. The 500-word analysis took roughly forever, and tripling this volume is, of course, taking even longer, especially since this time around I’ve had to choose the best Spanish word (or words) to fit each WOLD meaning, whereas in my first analysis, the 500 Spanish words were already in Spanish! I’m hoping that my results will be interesting enough to write up as a journal article, perhaps for Hispania. I don’t have final results yet: right now, I’m double-checking the etymologies. However, the borrowing rate appears to be much lower than in my first analysis: roughly, 1/3 borrowings versus 2/3. This puts Spanish safely in WOLD’s category of “high borrowers,” roughly on a par with Japanese (35%) though lower than English (41%) and Romanian (42%). 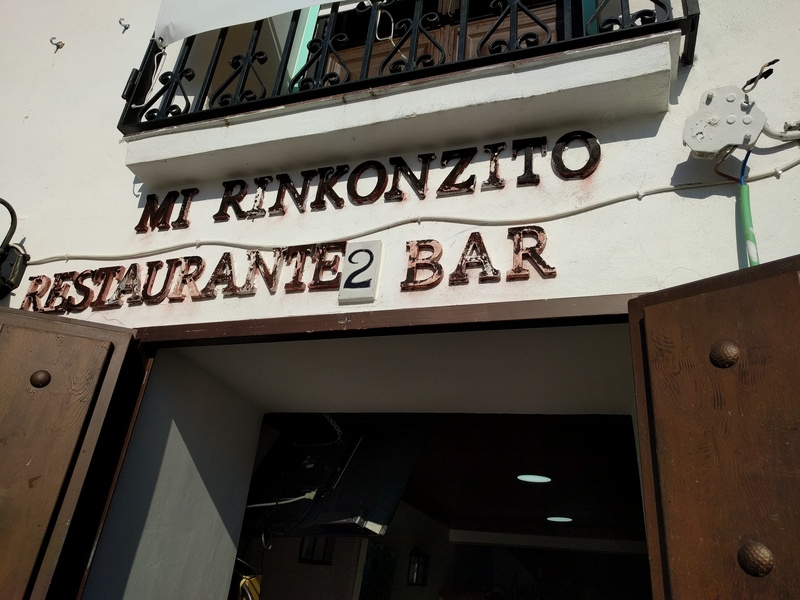 In advance of definitive results, the point of this blog post is to share with you some of the interesting aspects of Spanish vocabulary — or, precisely, non-vocabulary, or meanings NOT expressed in Spanish — that I’ve come across while selecting the Spanish words for the WOLD meanings. Three other categories of ‘missing meanings’ are of particular interest to me. 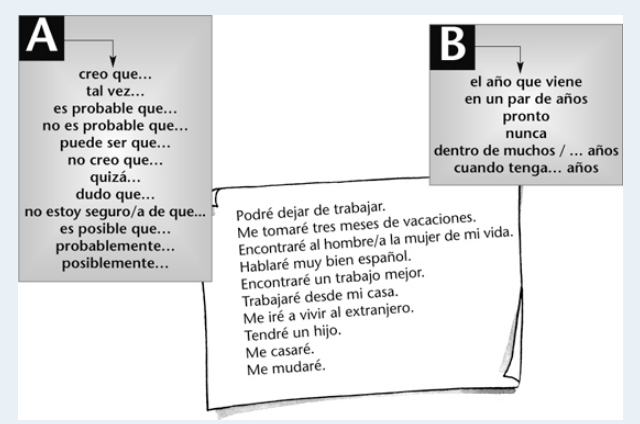 A few WOLD meanings express grammatical categories that Spanish lacks: a neuter pronoun meaning he, she, or it, separate versions of we that distinguish ‘you and I’ from ‘they and I,’ and distinct negatives that appear before nouns versus elsewhere, like English no versus not. 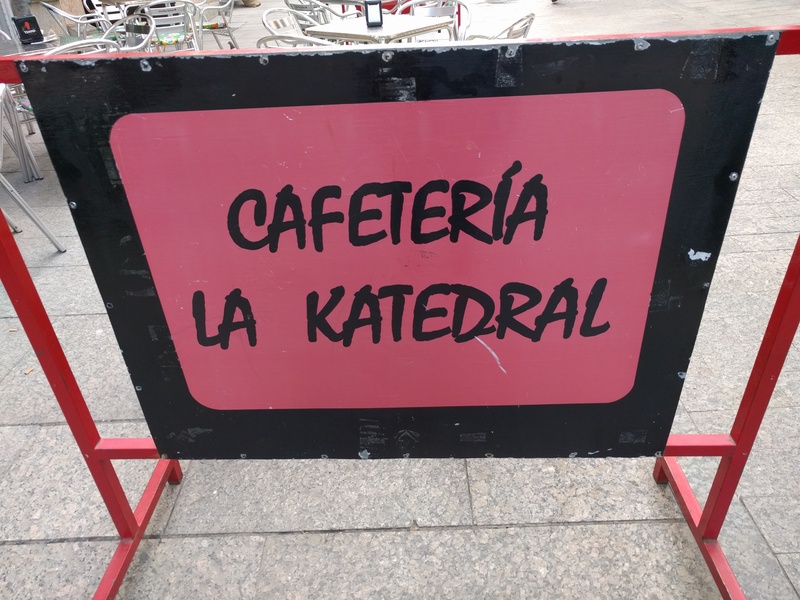 Some WOLD meanings seem to be randomly missing in Spanish. 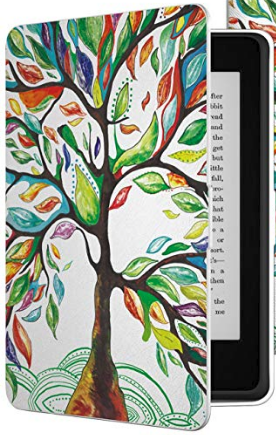 Maybe it’s because I’m not a native speaker, or my dictionary skills aren’t as good as I thought they were, but I don’t think there’s a standard way to express “the forked branch” (WOLD meaning 8.74), or “for a long time” (WOLD 14.332) in Spanish. You can certainly say ir a casa, but do those three words add up to a “standard phrasal expression”, as discussed above, for ‘to go or return home’ (WOLD 10.58)? (Note that volver a casa and regresar a casa are equally plausible.) Likewise, Spanish has a standard idiomatic phrase to express carrying something on your back (WOLD 10.613), (llevar a cuestas), but not carrying ‘in hand’ (WOLD 10.612), ‘on head’ (WOLD 10.614), or ‘under the arm’ (10.615). And why does Spanish, like English, lack a general term for a ‘child-in-law’ (WOLD 2.6411), forcing the awkward expression yerno o nuera (‘son- or daughter-in-law’)? Finally, Spanish collapses many lexical distinctions found in other languages, as implied by their inclusion in the list of WOLD meanings. I was already aware of many of these, such as ‘in’ and ‘on’ (both en), ‘do’ and ‘make’ (hacer), ‘say’ and ‘tell’ (decir), and ‘afternoon’ and ‘evening’ (tarde). As I worked through the WOLD list I became aware of many others, including ‘cut’ and ‘chop’ (cortar), ‘fault’ and ‘blame’ (culpa), ‘bend’ and ‘fold’ (doblar), ‘paddle’ and ‘oar’ (remo), ‘spade’ and ‘shovel’ (pala). ‘livestock’ and ‘cattle’ (ganado), and ‘mud’ and ‘clay’ (barro). Other such collapsed distinctions are shared by English, such as needle/aguja for both sewing and pine needles, day/día for ‘not night’ and ’24 hours’, believe/creer for ‘trust’ and ‘opine’, and weave/tejer for both fabric and baskets (or hair). I look forward to sharing the results of my analysis when I’m done. In the meantime, I hope you find the above of interest. 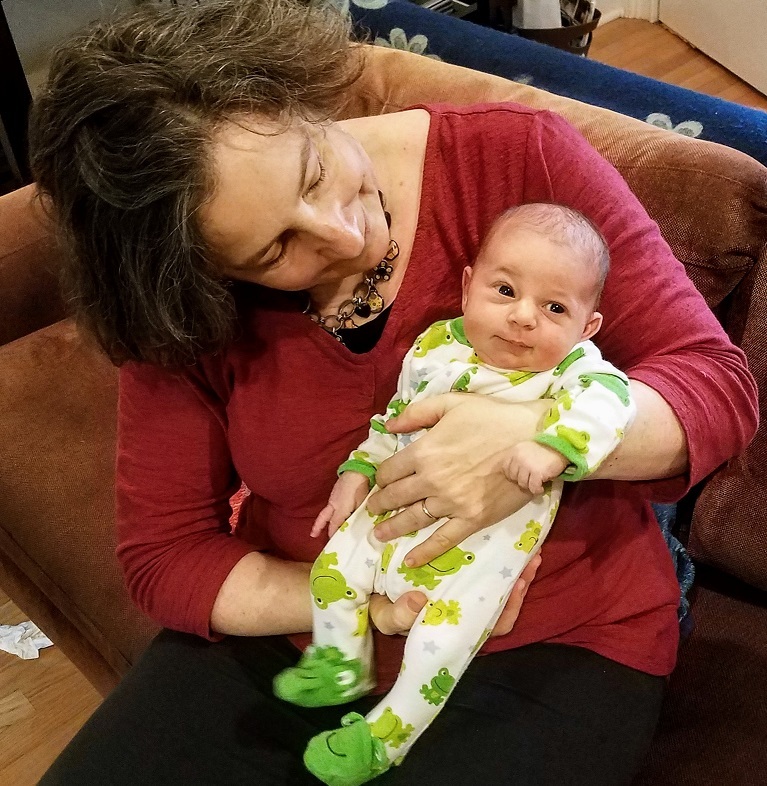 This entry was posted in Uncategorized on 4 January, 2019 by jhochberg. 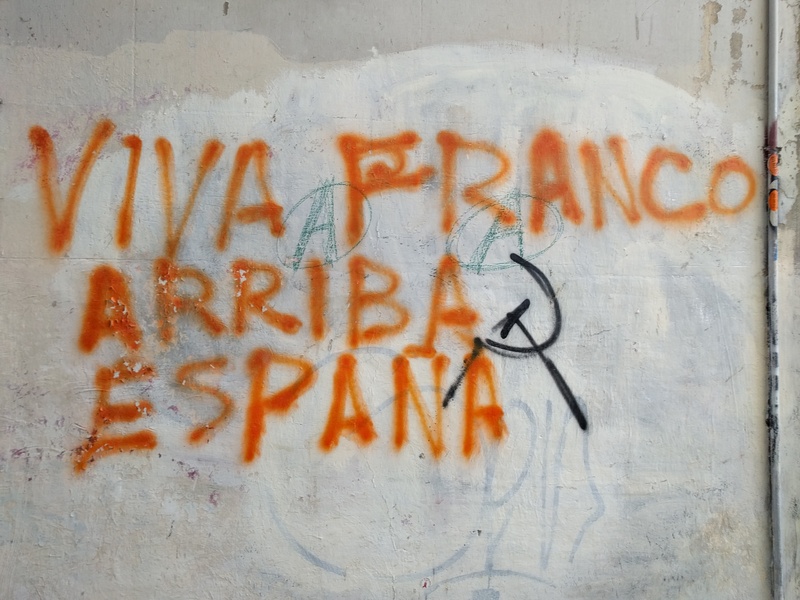 This post has a political context, but it is really about Spanish. I promise. The big story in New York’s congressional primaries last night was the surprise 57-43 victory of Alexandria Ocasio-Cortez over Joe Crowley, the 10-term congressman representing the heavily Hispanic 14th district. I don’t live in this district, and wasn’t following the race, but was excited about Ocasio-Cortez’s victory for two reasons. While writing this email I was reminded that the Spanish verb sustituir is fundamentally different from its English equivalent, to substitute. In English the direct object of the verb is the substitute item, e.g. I always substitute skim milk for cream. In Spanish the direct object is the item being replaced, e.g. Siempre sustituyo la crema por leche desnatada. 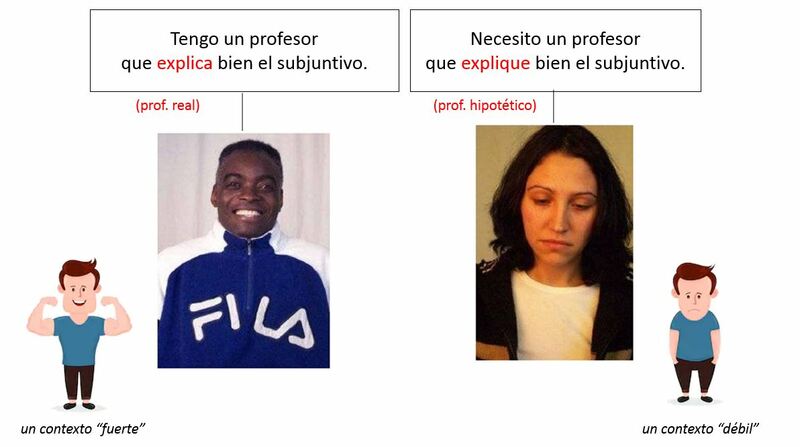 In effect, sustituir is best translated as ‘to replace’ rather that ‘to substitute’, as shown here and here. 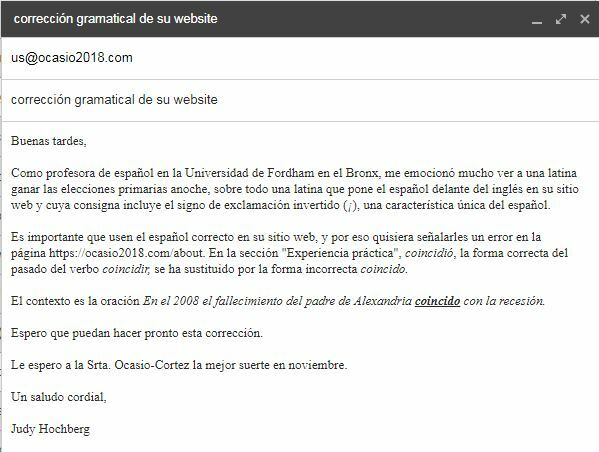 This is why in my email I described the error on the website as a correct form (coincidió) being replaced by (sustituido por) an incorrect form (coincido) rather than the other way around, i.e., the erroneous form taking the place of the correct form. I will probably have to stop and think about this every time I attempt to use the verb in the future, as with the verb restar. This entry was posted in Bad Spanish, Verbs and tagged Ocasio-Cortez, sustituir on 27 June, 2018 by jhochberg. Hispania, the official journal of the American Association of Teachers of Spanish and Portuguese, has published a review of ¿Por qué? in their June (2018) edition. It is a most complimentary review, with adjectives including “delightful,” “engrossing,” “meticulously researched,” “a joy to read,” “concise,” “brisk,” and “accessible though erudite.” The only thing that would have made me happier is if it had included the magical phrase “Every Spanish teacher should buy this book.” But you can’t have everything! You can download a copy of the review here. It starts on the second page of the PDF. 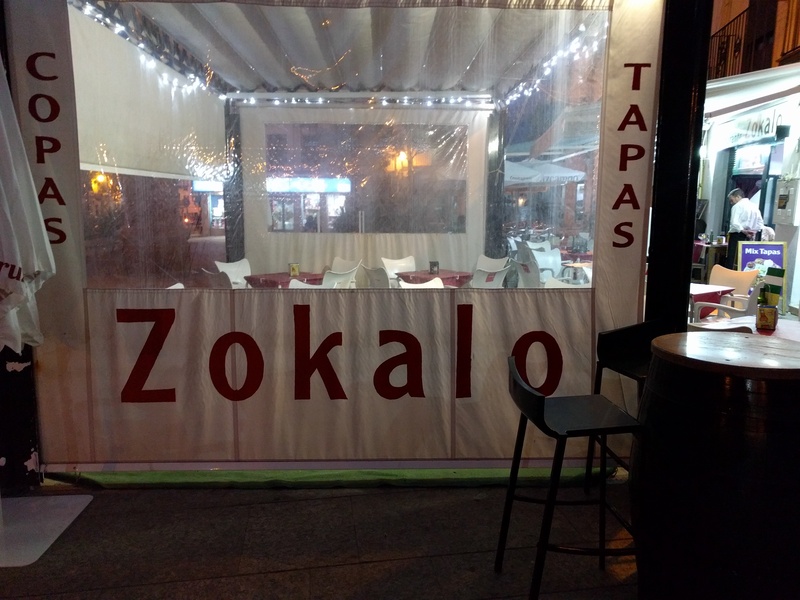 This entry was posted in ¿Por qué? 101 Questions about Spanish and tagged AATSP, Hispania on 19 June, 2018 by jhochberg. If you’ve been following the news, you know that the Trump administration has adopted a callous policy of separating children from their parents at the U.S. border, in an attempt to deter immigration. Nearly two thousand children have been separated from their parents over the last six weeks. The children are being held in detention centers or sent to foster homes. This raises the question of how parents can locate their missing children. failure to use military time: 8am a 8pm should be de las 8:00 a las 20:00. These errors add insult to injury to Spanish-speaking parents. They speak to the carelessness and thoughtlessness with which this policy has been conceived and implemented. 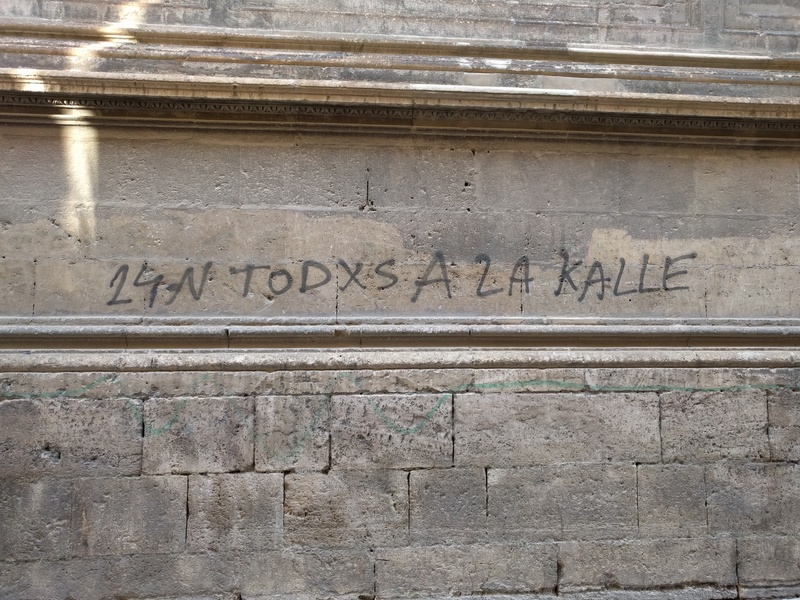 I apologize for bringing politics into my blog, but I care about Spanish-speaking people, not just their language, and also about my own country’s soul. This entry was posted in Bad Spanish and tagged border separations, DHG, Donald Trump, familiesbelongtogether on 18 June, 2018 by jhochberg.